Valid 21+ ID must be presented at the door. 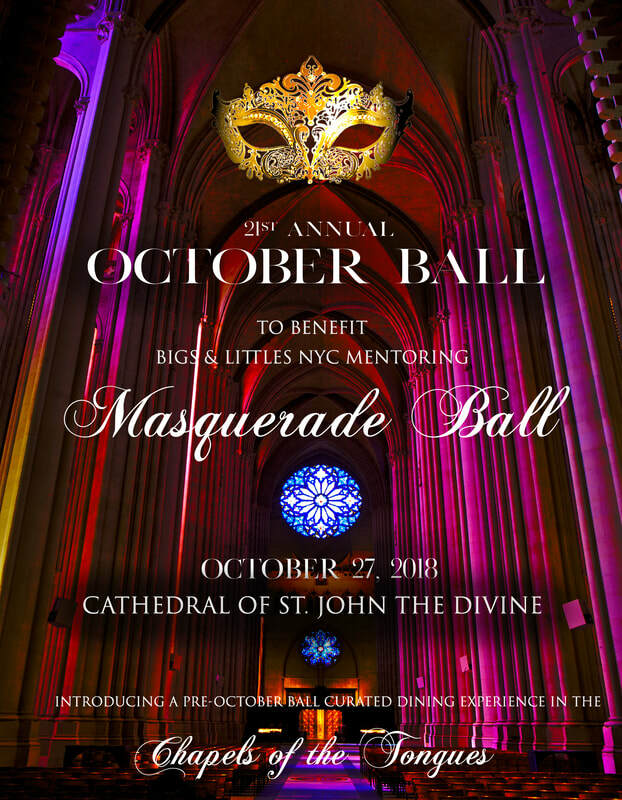 For 21 years, the October Ball gala has attracted thousands of young professionals in Manhattan’s international social scene as the premier event empowering New York’s youth through mentorship programs. Over the years we have raised over 2.1 Million and positively impacted the lives of thousands of children and families across the 5 boroughs. To stay up to date on our event, please follow our Facebook and Instagram pages. Tickets go on sale to public in August and sell out quickly. ​ making a donation to Bigs & Littles NYC. Re-live the moments from 2017!